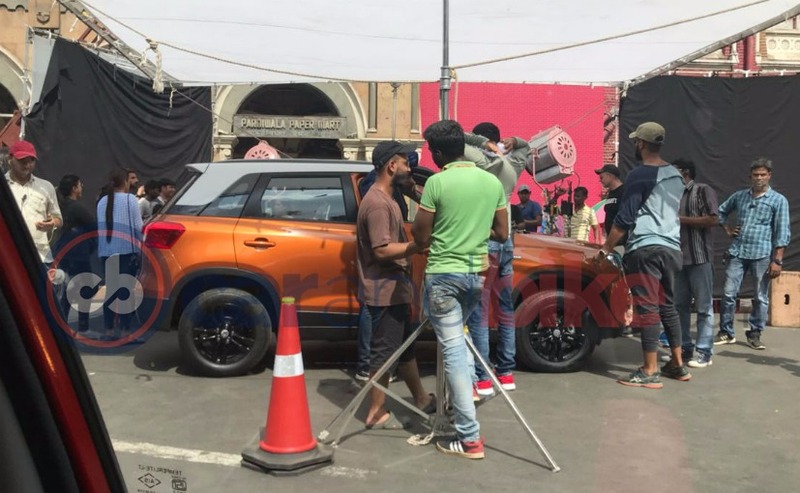 Yesterday, we told you that Maruti Suzuki Vitara Brezza facelift is coming and will launch soon. 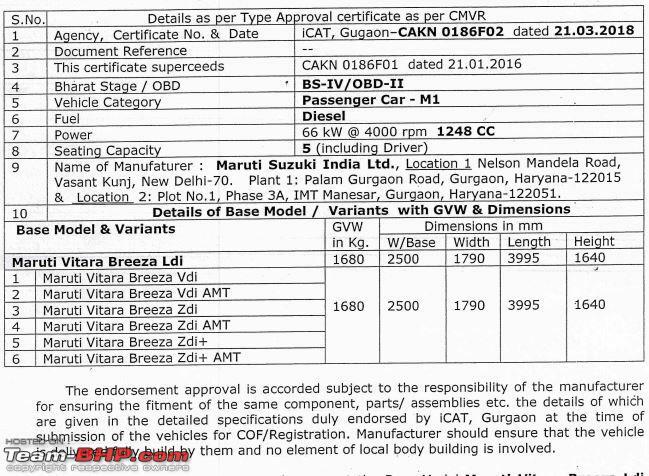 Now, an iCAT approval sheet has been leaked on the web which clearly shows that Maruti has already got the AMT version of the car certified. The pic of this sheet was shared on TeamBHP. As per the pic, the AMT will be available on the VDi, ZDi and ZDi + variants. This is a great move by Maruti looking at market’s increased tilt towards automatics and will also help to retain its grip on the compact SUV segment. It now remains to be seen will the AMT’s be launched together with the manuals or a little later. Maruti Suzuki launched Vitara Brezza in India in 2016. It was Maruti’s answer to the very hotly contested compact SUV segment. It has been a phenomenal performer for Maruti and has become a top seller in the segment. With the multitude of rivals upgrading their offerings, the segment is getting more and more competitive than ever. 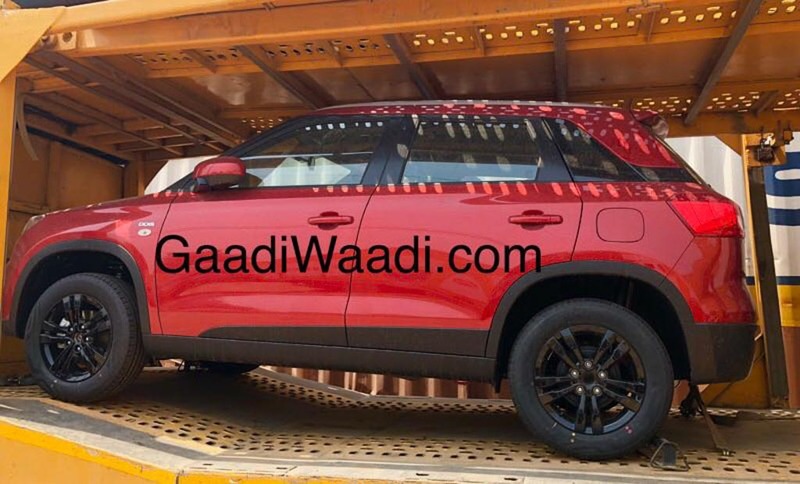 To counter this, it was expected that Maruti will soon be upgrading the Vitara Brezza. Now, as a confirmation, some spy pics of the updated car have surfaced on the web. 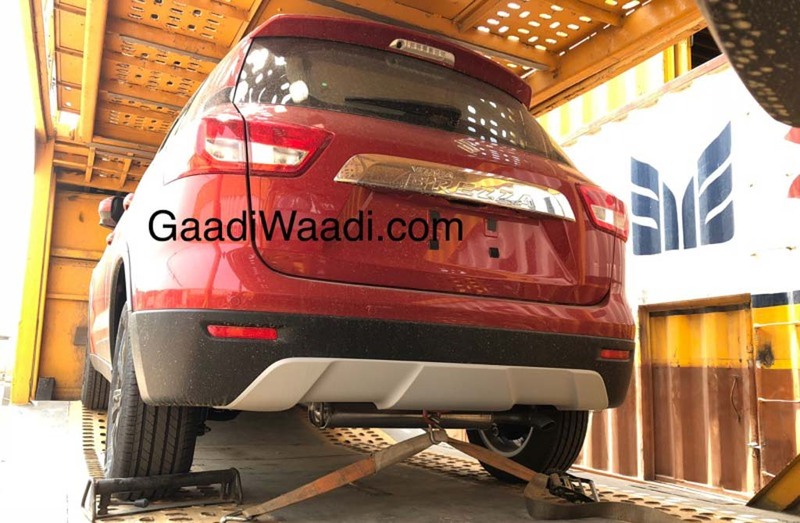 These were shared in a story published by gaadiwaadi.com. Maruti appears to have largely focused on cosmetic upgrades and variant rejig in the current facelift, apart from the AMT. The biggest change in the upgraded car is that the dual airbags and ABS are standard on all the variants. What this means is the optional or (O) version on LDi and VDi variants have been done away with. Also, the parking sensors have been made standard across the line. A new black interior colour theme has replaced the old grey one. New chrome front grill and a chrome rear door applique have been introduced. These will be available right from the base model. Black coloured alloy wheels on the higher end variants. No name and variant badging on the rear door. Blue colour from the old model has been discontinued and a new Dark Orange shade has been introduced on the top variant. A spy pic of this shade was shared recently by NDTV Car & Bike. Mechanically, the car remains exactly the same as the older model. It will come powered by a 1.3L diesel engine producing 90PS power and 200Nm torque. The engine will come mated to a 5-speed manual gearbox and soon to be launched AMT. There were also speculations about a petrol version but, there is no concrete information as yet.